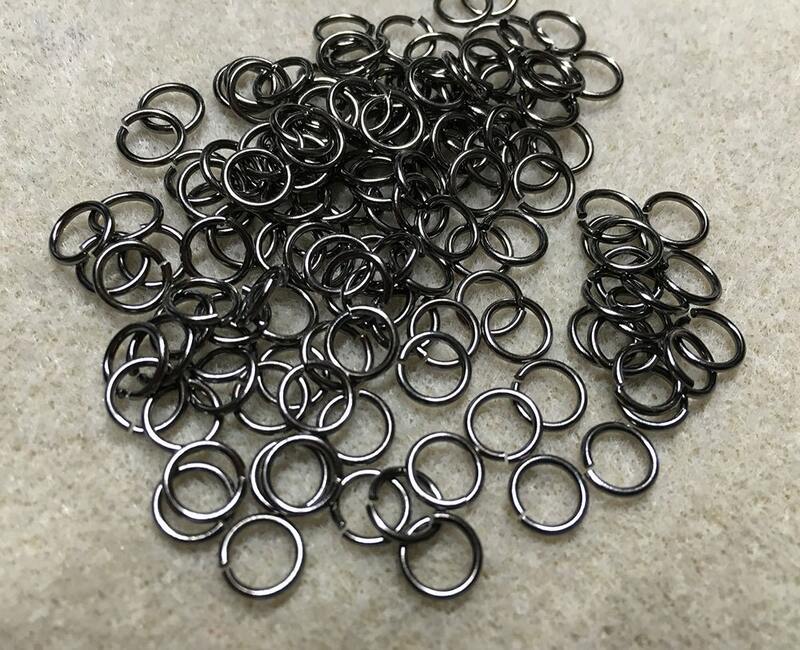 100 gunmetal 6mm OD jump rings, 4.6mm inner diameter, 19 gauge, and are unsoldered. Perfect for chainmaille, charm bracelets and more! Gunmetal Plated brass and easy to open.